This month we were excited to learn that each of the first three Budding Reader eBook sets—all of our titles published to date—have won Gold in the Mom’s Choice Awards for Best in Family-Friendly Products (or Services). We knew early on that Budding Reader eBooks were a hit with parents and teachers based on the number of glowing emails we received from fans and the number of five star reviews the eBooks have garnered on Amazon. Still, it is nice to know that the independent judges of this prestigious award also recognize the value of Budding Reader eBooks. 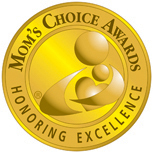 We’re honored that Budding Reader has been recognized as a quality product by Mom’s Choice. Still, we’re even more honored and humbled when we hear directly from parents and teachers about the positive difference Budding Reader is making in the lives of some emergent readers for whom Budding Reader is the first and only book set easy enough to ensure success. It is these stories of reading success which motivate and encourage us and by which we measure our success. We are on a mission to make learning to read easier and more fun for children everywhere and know that for at least some young readers, Budding Reader is making a difference. As you probably know, every time we sell an eBook, we donate one to a child in need. We believe if the whole world learns to read, all of our lives will be better. If you are interested in joining us on our mission, please help spread the word about Budding Reader eBooks.